(Newser) – The remains of a Korean War veteran are back in his Massachusetts hometown 65 years after his death, thanks to his nephew's 11-year effort seeking their return, the AP reports. According to the Boston Globe, the remains of US Army Cpl. Ronald Sparks were flown from Hawaii to Boston's Logan International Airport on Tuesday. 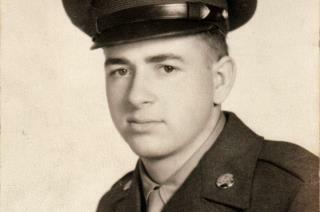 Sparks died in a North Korean POW camp in May 1951 at age 20. His remains had been interred at a military lab until he recently was identified through DNA testing. For the longest time we had to pay to get remains back from N.Korea or Vietnam. It was an exchange of a large suitcase of $100 bills for the remains. ATTN: Newser We need more articles like this. DNA science is truly amazing. Without it, Corporal Sparks would either still be in some unidentified grave in Korea or at a military lab. Now, a son gets to fulfill his Father's dying wish and Corporal Sparks will have the burial he deserved.